THE BOOK OF GAMES; or, A History of Juvenile Sports, Practised at a Considerable Academy Near London. Illustrated by twenty-four copper plates. London: Tabart & Co. 1810. Price three shillings and six pence, half-bound. , , 2-168, 8 ad's pages. Illustrated with copper-plate frontispiece and twenty-three copper-plates throughout, additional to pagination. Original pictorial printed boards with red roan spine, gilt, being an unrecorded issue of the book by Knevett, Arliss, and Baker. 12mo. 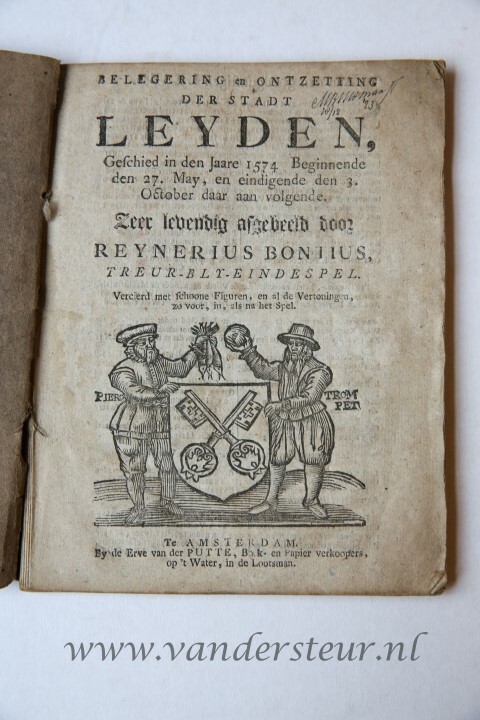 One plate with a clean tear without loss; another plate a little browned; some occasional marking; binding rubbed; else a very good copy of a scarce title.Moon 14(2). 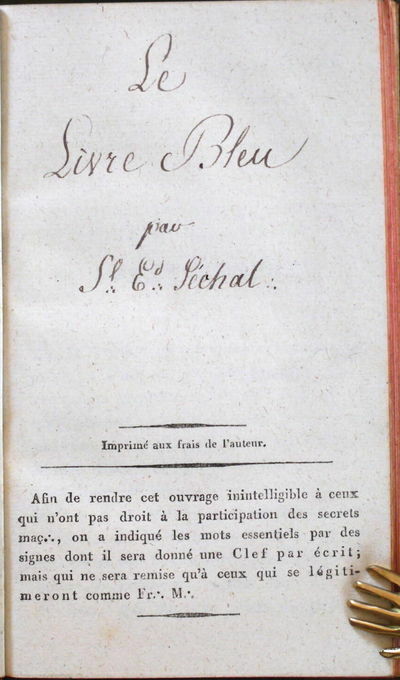 First published in 1805. Mrs. 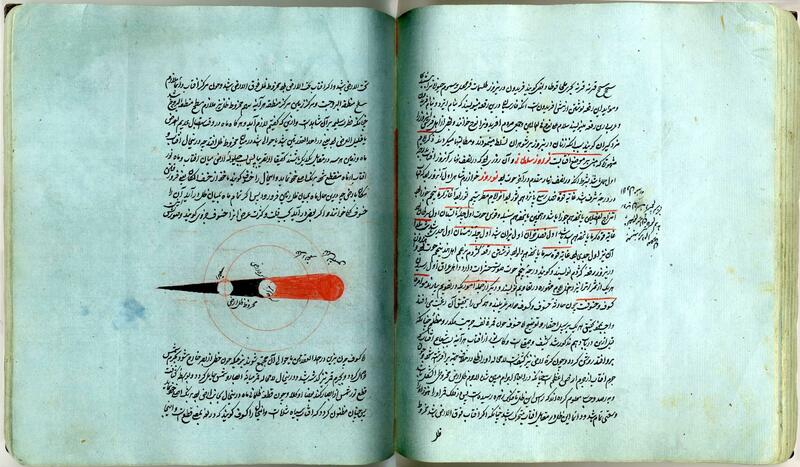 Moon does not record a copy bound in pictorial boards, with this variant imprint. Games included are cricket, blind-man's buff, archery, leap frog, marbles, foot-ball, etc. Raccolta Di Num. 160 Vedute della Citta antica e moderna di Roma e di Alcuni Luoghi Suburbani incise a Bulino in Num. 40 Rami. - Sammlung von 160 Ansichzten des alten und neuen Roms und anderen ausser der Stadt liegenden Orte in 40 Kupfertafeln. - Recueil De 160 Vues de la Ville ancienne et moderne de Rome et de quelques endroits Circonvoisins. Gravées sur 40 Planches. Wien, Auf Kosten Georg Friedrich Kraus. (Ca. 1810). - 2 Bände. Quer-4°. Je Band 1 Titel, 40 Tafeln mit je 4 Ansichten (total 80 Tafeln mit 320 Ansichten) ) mit jeweils einem Textblatt zu den Tafeln. Schlichte Pappbände der Zeit. Seltenes Ansichtenwerk von Rom. Einige Tafeln in der Platte bezeichnet "H.Benedicti sc.". Auf unbeschnittenem starken Velin. Jeweils 4 kleine gestochene Ansichten (8,5x5,4 cm) auf einer Platte. Jede Tafel mit einem zusätzlichen Schutzpapier. Die Texte in Italienisch, Deutsch und Französisch. - Die kleinen Ansichten waren offenbar nicht gut zu verkaufen. In den deutschen Auktionen wurden davon in den letzten 30 Jahren nur 2 Exemplare angeboten. - Einbände stark bestossen.Band 1 mit durchgehendem Wasserrand am unteren Rand, jedoch immer ausserhalb des Plattenrandes. FARRINGTON, Joseph, & J. Stadler. History of the River Thames. W. Bulmer & Co. 1810 - Size: 550 x 330 mm. Fine condition. Original aquatint. Original hand colouring. A beautiful aquatint from John and Joseph Boydell's landmark in English topography, A History of the River Thames. 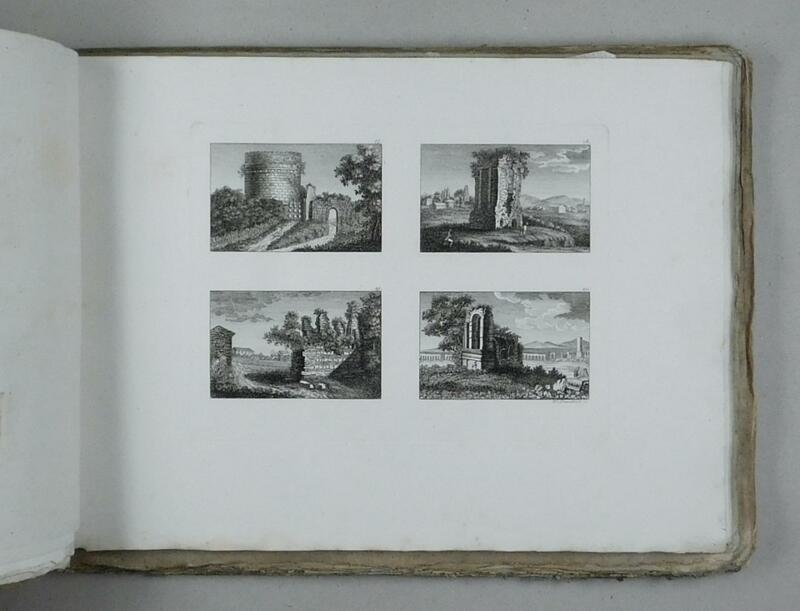 Engraved by Stadler, J. C.
First edition, first printing thus. 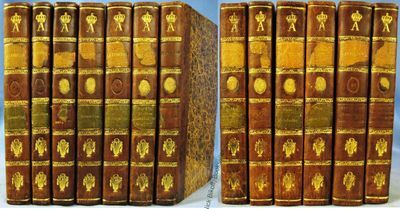 A complete set in 12 volumes bound in contemporary calf with gilt titles to the spine. Ex libris label of Francis, Lord de Dunstanville. Very good. Belegering en ontzetting der stadt Leyden, voorgevallen in den jaare vijftien honderd vier-en-zeventig, beginnende den zeven-en-twintigste Mey, en eindigende de derde October daar aan volgende. Treur-bly-einde-spel. Versierd met schoone figuuren en alle de vertooningen, zoo voor, in, als na het4, 398, . Amsterdam, S. en W. Koene, 1810. - 4°: A-G#4, gepag. : 52  pp., met een titelvignet in houtsnede en 8 afbeeldingen in houtsnede in de tekst. Oorspr. karton, papier gebruind, op het schutblad A.M.L.[edeboer?] Lit. : Saalmink I, p.261 Door een kleine beschadiging op de titelpagina is het jaar van uitgave niet vast te stellen (alleen het laatste cijfer is leesbaar: 0). Vergelijking met in de NCC opgenomen uitgaven van S. en W. Koene en met de bibliografie van Saalmink maakt het zeer waarschijnlijk dat het gaat om een uitgave uit 1810. 1810. A collection of seventeen hand-drawn watercolor costume designs for a paper doll, plus one additional unfinished design in pencil. Each costume, complete with headpieces, wigs, and other accessories, is well designed and skillfully colored, giving this handmade set a polished and professional look. The costumes are laid into a notebook, with the title of each design and the number of pieces carefully inked onto the pages. Covering a wide range of activities and locales, the sets are: a Spartan virgin, a lady in a walking dress, a belle in the year 1775, a Florentine lady in a Carnival dress, a Quaker, Countess Hamilton in Charles's reign, a Dominican nun, a Florentine peasant, a Christian woman of Smyrna, a Neapolitan peasant, a peasant near the sea of Marmora, a Vestal virgin, a lady in the riding dress of the year 1780, a ballad singer, a lady in a ball dress, an Otaheitan girl, a woman of Brixen, and a lady in a riding habit. 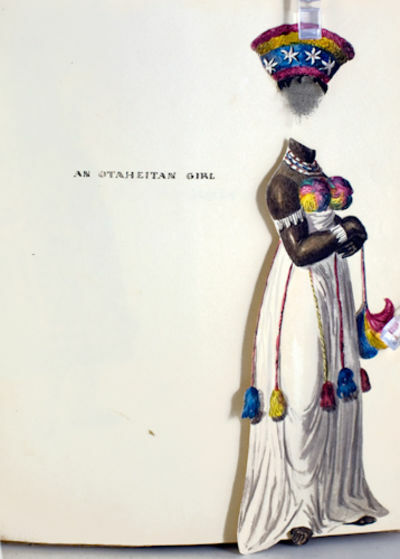 The unfinished costume, which is sketched in pencil and cut out, shows a woman in trousers, a long military-style coat, and a top hat. There is also an extravagantly-adorned bonnet that may have been the start of another outfit, since it does not seem to match the other unfinished pieces. There is no doll, but that is likely because the set remains unfinished; the presence of an unfinished costume as well as the lack of tabs on the costume pieces suggests that the project was never completed. The notebook is red with gold trim and has holes in the front and the back cover for green cloth ties, cleverly secured by red heart-shaped cutouts inside the covers. Two hand-decorated paper labels adorn the notebook. On the back, the initials F.C. are surrounded by a laurel wreath. The front has a handwritten poem explaining that the changeability of woman, of which men so often complain, comes only from a "pure wish to please." Below the poem, in bold capitals, is the phrase "ECCE SIGNUM!" which means, "Here is the proof." The final page of the notebook is folded such that it could serve as a holding place for loose pieces, though one side is now detached. Cover worn, as expected, and the ties and sections of trim are missing. The pages, however, are clean and sound, and the costume designs are in fine condition. THE HISTORY OF LITTLE FANNY Exemplified in a series of Figures. 1810. 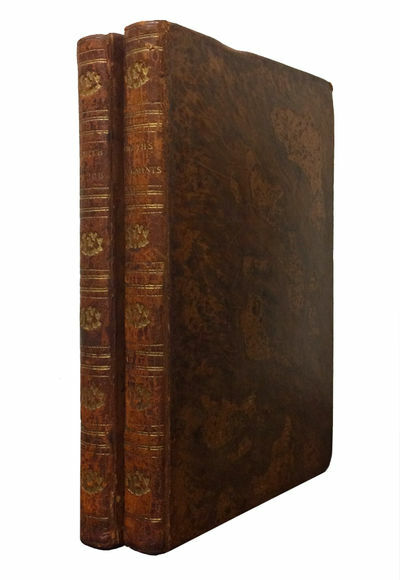 Comprising of a 15 page book; seven costumes; four hats and an interchangeable head, all being finely hand-coloured aquatints; a printed slipcase.First edition. Tiny piece missing from one figure; slipcase restored; else an excellent example, rarely found complete. Loosely laid in is a bookseller's receipt for the item dated September 1956. The price was three guineas.£1,500. 00. Histoire des Wahabis, depuis leur Origine Jusqu'a la fin de 1809. 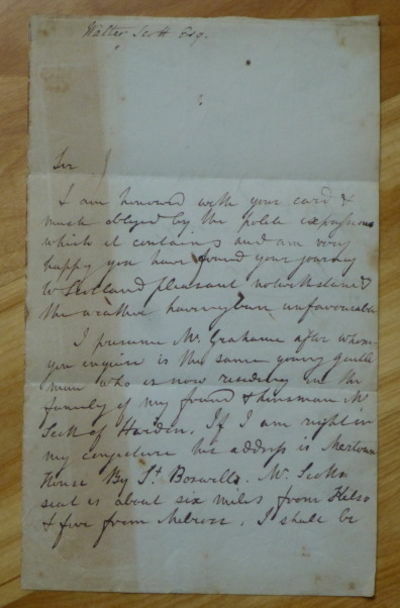 Autograph Letter Signed, in envelope addressed to "The Rev'd Mr. Rafles"
1810 - Two pages (both sides of one leaf), folded into thirds to fit inside a handwritten folded envelope (with red wax seal). "Castle Street [Edinburgh], Friday." The letter reads:~Sir~I am honoured with your card & much obliged by the polite [----------?] which it contains and am very happy you have found your journey to Scotland pleasant notwithstanding the weather having been unfavourable.~I presume Mr. Grahame after whom you enquire is the same young gentleman who is now residing in the family of my friend & kinsman Mr. Scott of Harden. If I am right in my conjecture his address is Mertoun House By St. Boswells. Mr. Scott's seat is about six miles from Kelso & five from Milburn[?]. I shall be happy if you find this information useful & am Sir~Your obliged & humble Servant~Walter Scott.~We cannot identify the recipient other than by his name and address on the envelope -- "The Rev'd Mr Rafles [Rufles?] | Mr Gouldris[?] | 7 St. James Square". All we can infer about the recipient is that he resided at a very fashionable address in London, and that apparently he and Scott had never met. Clearly the recipient had left his calling card, and enquired for the address of a Mr. Grahame -- who it appears was at Mertoun House (by the River Tweed), which had been in the Scott family for about a century; a century later, it would be sold to the Egerton family, for whom Mertoun House would become the home of the Duke of Sutherland.~The year of this letter is unspecified, but we can be certain only that it was between 1798 and 1826: until his marriage in late 1797 Walter Scott lived with his parents at 25 George Street; after the marriage he and Charlotte lived briefly at 50 George Street, and then in Autumn 1798 they moved to 10 Castle Street (where, in 1798 and in 1801, their two children were born); and shortly after the latter birth they moved to more permanent lodgings at 39 South Castle Street -- until 1824, by which time Scott built his estate Abbotsford -- on the River Tweed. (Two years later, he was forced to sell the South Castle Street house because of the failure of the Ballantyne publishing company). This letter says only "Castle Street," but that does not necessarily mean 10 Castle Street -- since it is known, from other letters, that Scott would write "Castle Street" to refer to his address at 39 South Castle Street, as well.~The letter is in very good condition (folded into thirds, as originally mailed; one vertical quarter of the letter is a little browned). Expédition de l'Escaut. Enquêtes, pièces et documens relatifs aux affaires de l'Escaut, communiqués aux deux Chambres du Parlement d'Angleterre. , Paris, Henri Agasse., 1810. Hardcover, 554 pages .L'ouvrage comporte un ensemble de documents anglais (traduits en français) relatifs à l'expédition de Walcheren en 1809. 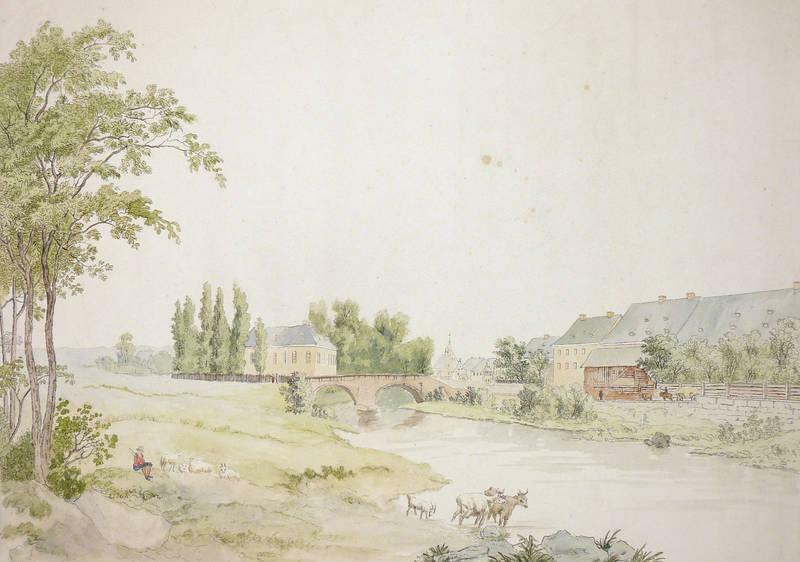 Il s'agissait pour les troupes anglaises de débarquer dans Anvers et Flessingue pour y détruire les arsenaux et les bassins de construction à Anvers, Terneuse et Flessingue, de s'emparer de l'île de Walcheren et d'obstruer la navigation de l'Escaut afin que la marine napoléonienne ne puisse l'emprunter. 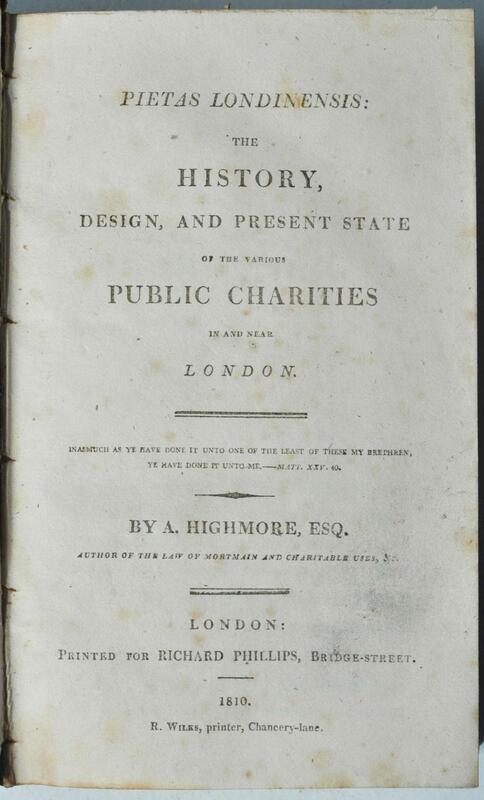 Pietas Londinensis : the History, Design, and Present State of the various Public Charities in and near London. 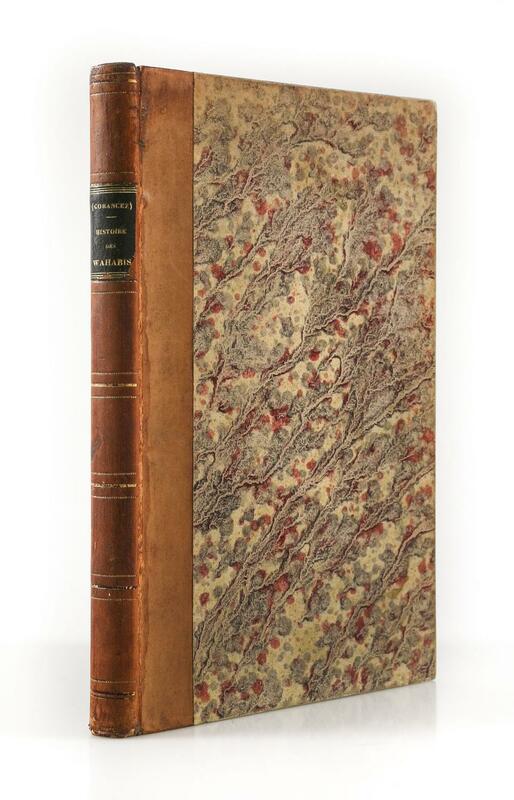 Germantown: Gedruckt bey Michael Billmeyer, 1810. Sixth edition, 12mo, pp. 537, ; original full unadorned calf, brass clasps on leather thongs; text rather browned throughout; all else very good and sound. Seidensticker, p. 178; Shaw & Shoemaker, 19519; First Century of German Language Printing in America, 1727. 1810. Two pages (both sides of one leaf), folded into thirds to fit inside a handwritten folded envelope (with red wax seal). "Castle Street [Edinburgh], Friday." The letter reads:~Sir~I am honoured with your card & much obliged by the polite [----------?] which it contains and am very happy you have found your journey to Scotland pleasant notwithstanding the weather having been unfavourable.~I presume Mr. Grahame after whom you enquire is the same young gentleman who is now residing in the family of my friend & kinsman Mr. Scott of Harden. If I am right in my conjecture his address is Mertoun House By St. Boswells. Mr. Scott's seat is about six miles from Kelso & five from Milburn[?]. I shall be happy if you find this information useful & am Sir~Your obliged & humble Servant~Walter Scott.~We cannot identify the recipient other than by his name and address on the envelope -- "The Rev'd Mr Rafles [Rufles?] | Mr Gouldris[?] | 7 St. James Square". All we can infer about the recipient is that he resided at a very fashionable address in London, and that apparently he and Scott had never met. Clearly the recipient had left his calling card, and enquired for the address of a Mr. Grahame -- who it appears was at Mertoun House (by the River Tweed), which had been in the Scott family for about a century; a century later, it would be sold to the Egerton family, for whom Mertoun House would become the home of the Duke of Sutherland.~The year of this letter is unspecified, but we can be certain only that it was between 1798 and 1826: until his marriage in late 1797 Walter Scott lived with his parents at 25 George Street; after the marriage he and Charlotte lived briefly at 50 George Street, and then in Autumn 1798 they moved to 10 Castle Street (where, in 1798 and in 1801, their two children were born); and shortly after the latter birth they moved to more permanent lodgings at 39 South Castle Street -- until 1824, by which time Scott built his estate Abbotsford -- on the River Tweed. (Two years later, he was forced to sell the South Castle Street house because of the failure of the Ballantyne publishing company). This letter says only "Castle Street," but that does not necessarily mean 10 Castle Street -- since it is known, from other letters, that Scott would write "Castle Street" to refer to his address at 39 South Castle Street, as well.~The letter is in very good condition (folded into thirds, as originally mailed; one vertical quarter of the letter is a little browned). 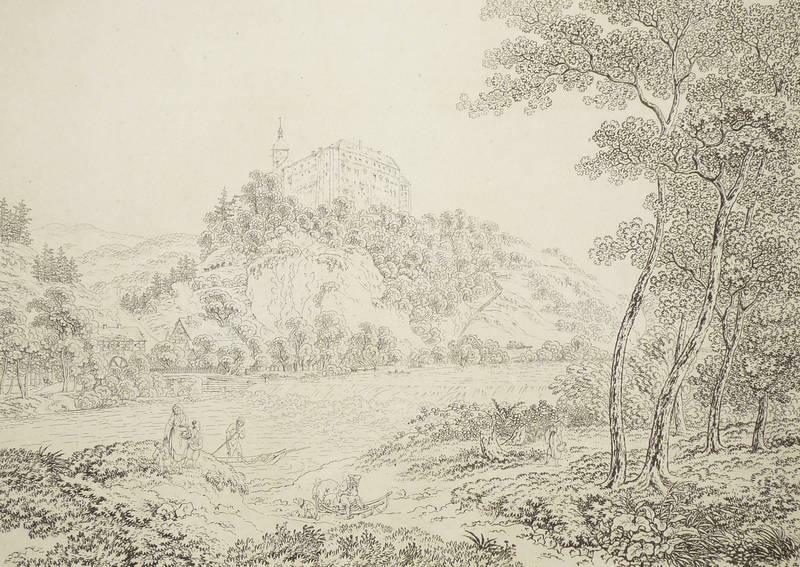 \"Blick auf das Wilhelmshöher Schloß, im Hintergrund der Karlsberg mit den Kaskaden\" und \"Blick über den See mit der Fontäne auf den Karlsberg\". Gegenstücke. vi, 218 pp. 8vo, cont. 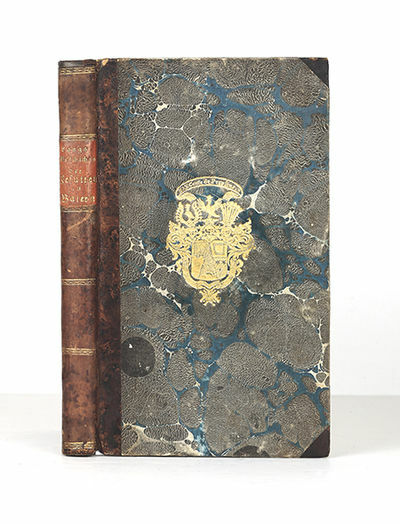 marbled half-sheep & marbled boards (title & final leaf rather foxed), flat spine gilt, red morocco lettering piece on spine, arms in gilt on upper cover of Max, Graf von Preysing-Lichtenegg-Moos (1810-81). Nuremberg: Riegel & Wiessner, 1819. First edition of this detailed history of the Jesuits in Bavaria. Lang (1764-1835), was a Bavarian government official, the archivist of Munich, and the author of many histories of Bavaria. The Jesuits in Bavaria exerted considerable influence in the region due to their enormous wealth; they were suppressed in 1773. Apart from the foxing, a fine copy. Bookplate of Philipp Pfister, secretary to King Ludwig II. Rare. London: Richard Phillips, 1810. First edition. Hardcover. Very good. 8vo. xxix,(i),984pp followed by 4pp. publisher's catalogue. Half-title present. 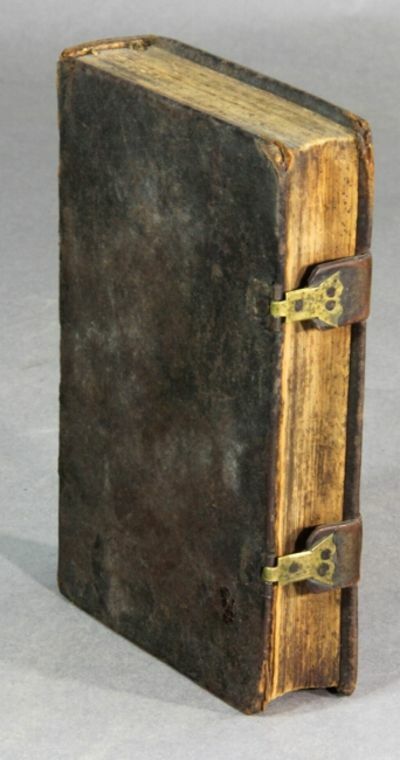 Early binding of full polished calf; spine in six compartments with raised bands, gilt. Gilt borders and inner dentelles to the boards. Nicely and nearly invisibly rebacked with the original backstrip laid on and retaining the original drab endpapers. A very good copy. in which are carefully laid down all the direct & cross roads, cities, townes, villages, parks, seats, and rivers. With a general map of England and Wales. London : J. Wallis, n.d. [c. 1810]. First edition. Duodecimo, original publisher's half-morocco over marbled boards, contrasting gilt-lettered red morocco label to front board, corners and edges rubbed, contemporary owner's name to front pastedown, engraved title and contents pages, general map of England and Wales, 42 engraved maps of English counties, printed rectos only, finely hand-coloured, the Yorkshire map being double paged. 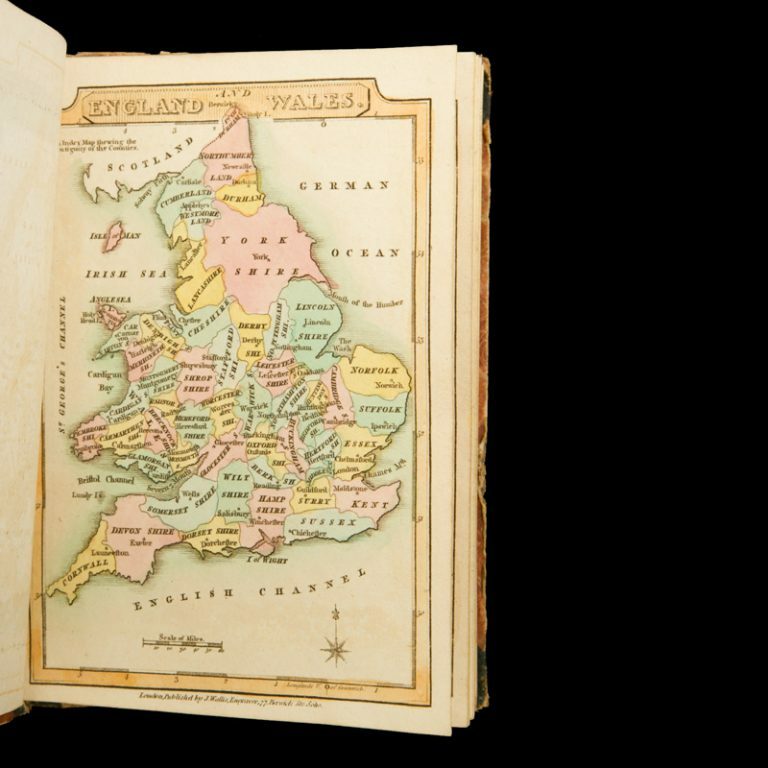 An attractive copy in original condition of a charming pocket atlas of English counties, published by the well-known cartographic publisher Wallis. 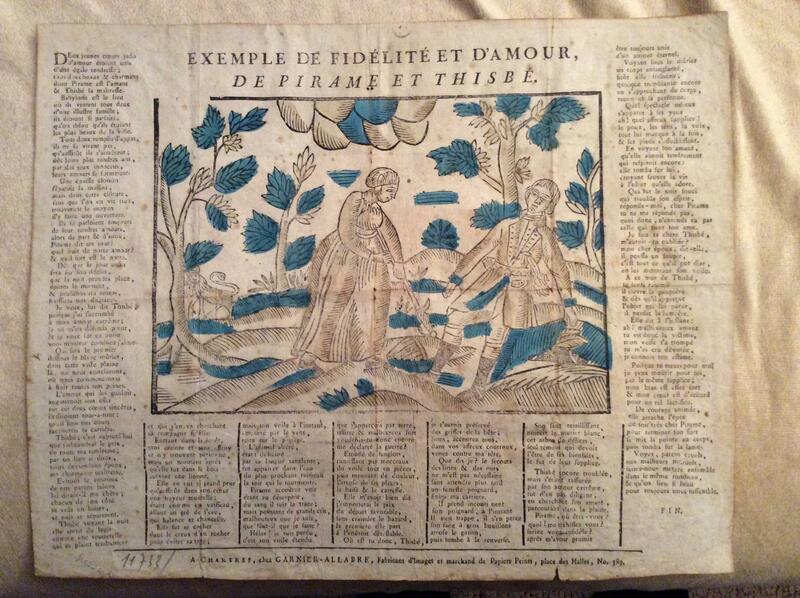 Exemple de Fidelite et d'amour, de Pirame et Thisbe. Landes-Verordnungen der Grafschaft Lippe. Vierter Band (von 1790 bis 1800). Landes-Verordnungen des Fürstenthums Lippe. Fünfter Band (von 1801 bis 1810). Nuova Raccolta di ciquanta motivi Pittoreschi a Costumi di Roma, incise all' Acqua forte de Bartolomeo Pinelli Romano. Pictorial title and plus 49 plates. Contemporary half calf gilt over marbled boards. 222 x 157 mm. Spine repaired else a very good, clean copy. J. Nichols & Son. Hardcover. full calf five raised bands glt decoration and titles to spine tooled clamshell borders with gilt borders to boards marbled edges and endpapers bookplate of Frederick Smith glue to front pastedown portrait of Johnson frontispiece to volume one bindings tight and in good condition leather scuffed spine edges a bit worn 12 volumes complete. . Very Good. 1810. 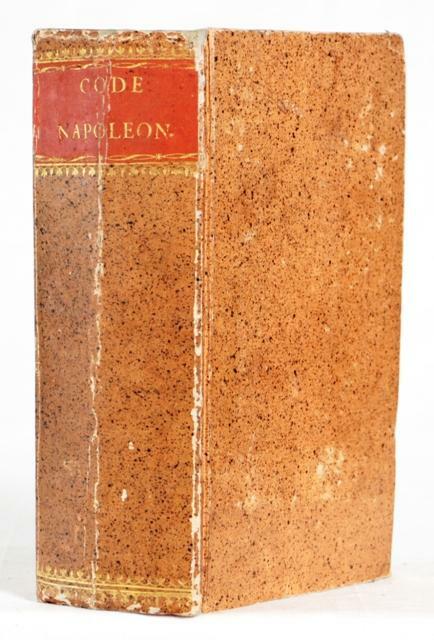 Napoleons Gesetzbuch. Einzig officielle Ausgabe für das Großherzogthum Berg. Édition seule officielle pour le Grand-Duché de Berg. Italien - Handzeichnung Tanzen Aquarell Pinelli. Tanzendes Volk vor antiken Ruinen. Große aquarellierte Federzeichnung auf Bütten; Bartolomeo Pinelli zugeschrieben. Italien, um 1810/20. - 35,3 x 59,1 cm, auf Trägerpappe aufgelegt. Nicht signiert oder bezeichnet. - Außergewöhnlich große, qualitätvolle Darstellung mit einem tanzenden Paar, das sich zu den Klängen eines Lautenspielers bewegt, umringt von allerlei Leuten, die in ihrer jeweiligen Beschäftigung innehalten, um zuzuschauen; im Vordergrund ein grasender Gaul und ein Hund, im Hintergrund Fuhrwerke in der bergigen Landschaft und antike Ruinen. - Sehr schön erhalten. Das Gesamtwerk. [Herausgegeben von Fritz Werle]. 8 Bände [kmpl.]. (1) Das große Geheimnis. (2) Geschichte der Magie. Erster Halbband. (3) [Dasselbe] Zweiter Halbband. (4) Dogma und Ritual der Hohen Magie. Erster Band: Dogma. (5) [Dasselbe] Zweiter Band: Das Ritual. (6) Die salomonischen Schlüssel. (7) Das Buch der Weisen. (8) Der Schlüssel zu den großen Mysterien nach Henoch, Abraham, Hermes Trismegistos und Salomon. Dtsch. Erstausg. 243 S., 1 Bl. / 294 S. / 252 S. / 273 S. / 341 S. / 94 S., 1 Bl. / 237 S., 1 Bl. mit 2 Taf. / 392 S., 1 Bl. Bd. 2, 3, 4, 5, 6 u. 8 mit einigen Abb. im Text, 8, Goldgepr. O-Leinen (8 Bde.) Standardwerk der Magie. - Eliphas Lévi (1810-1875), einer der meistzitierten Okkultisten Frankreichs. Laut Miers haben nahezu alle okkulten Bewegungen aus seinen Werken geschöpft ohne seinen Namen zu erwähnen. So sind z.B. "Geheimlehre" von Blavatsky u. in "Morals and Dogma" von Albert Pike ganze Absätze aus seinen Hauptwerken enthalten. Die Anregung zu "Dogma und Ritual der Hohen Magie" verdankt Levi dem polnischen Mathematiker, Erfinder u. Okkultisten Jean-Marie Wronski [d.i. Jean Marie Hoene]. Die praktische Erprobung der Evokationen erfolgte durch seine Bekanntschaft mit Bulwer-Lytton 1854 in London. Einzelheiten sind bei Papus "Almanach du Magiste. Paris 1894" nachzulesen u. in der Levi Biografie von Chacornac. - Einbände tlw. leicht fleckig u. berieben wenige Seiten u. zwei Vorsätze etwas fleckig ganz vereinzelte Bleistiftanstreichungen, sonst gute Expl. Plauen (Dresden). - Ansicht. - "Partie de la Vallée de Plauen du côté du jardin de Reifewitz près de Dresde". City of Washington: A.&G. Way, Printers, 1810 The first USS Alliance of the United States Navy was a 36-gun sailing frigate of the American Revolutionary War. Her first commanding officer was Capt. Pierre [Peter] Landais, a former officer of the French Navy who had come to the New World hoping to become a naval counterpart of Lafayette. The Alliance after reaching France was ordered by Benjamin Franklin to join the French squadron commanded by Captain John Paul Jones on the Bonhomme Richard instead of quickly returning to America with much needed military supplies. The squadron then clockwise circumnavigated around Britain capturing three British ships. Landais sent the captured ships to Bergen, Norway, where the Danish government quickly returned the ships to the British consul depriving the captors of any reward for the capture of the ships. 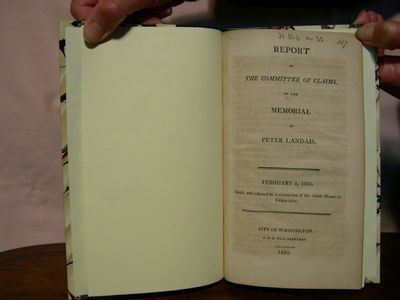 This Committee of Claims report was to determine whether the U.S. or France was liable to make good on the loss of any profit on the loss of the three ships. House Report No. 32, pages 317 through 331, 15 pages. Recently bound in half green leather over mabled boards. A fine copy.. Hardcover. O. O., "Imprimé aux frais de l`auteur", ca. 1810.. Ein handschriftl. Blatt, darauf geschriebener Titel auf der oberen Hälfte und nur das Folgende gedruckt. Insgesamt: 3 Bll., 43 S. Grüner HLdr. d. 19. Jhdt. Über KVK / WorldCat nur ein Expl. in der Library of Congress nachweisbar. - Vgl zu diesem Kuriosum sehr ausführlich: Mossdorf, Encyclopädie der Freimaurerei III, pp. 354-359 und Lenning, Allgemeines Handbuch der Freimaurerei I, 478. - Sehr seltenes Freimaurer-Kuriosum: Der sonst nicht zu fassende Autor hat wohl selbst den Titel auf der oberen Hälfte des ersten gedruckten Blattes handschriftlich eingesetzt, nach dem gedruckten Vermerk des Selbstverlages beginnt der Text: "Afin de rendre cet ouvrage intelligible a ceux qui n`ont pas droit à la participation des secrets mac. ...". Der laufende Text, Anweisungen, Aphorismen und Geheimnisse für die höheren Grade enthaltend, wird von einer Vielzahl von Freimaurer-Chiffren unterbrochen. Deren Bedeutung ist auf dem vorgebundenen Manuskriptblatt zu entschlüsseln. - Aus der Charlesworth Masonic Library. A fine example of the first edition of Arrowsmith's landmark map of Texas, Upper California and the Southwest, perhaps the single most important 19th Century mapping of the Southwestern part of North America prior to its independence. Arrowsmith's map was the first to report the discoveries of Pike and Humboldt, having been issued prior to the official accounts of these two explorers. While the map draws from the work of Humboldt extensively (evidenced by Humboldt´s accusation of plagiarism), the map shows substantial improvements over the Humboldt map in several areas. Arrowsmith drew on Vancouver's charts for his treatment of the California Coastline (including the tracks of Vancouver's voyage on the California Coast on a daily basis), Pike's accounts for the mapping of Texas and the Brazos and Guadalupe River regions and other rivers explored by Pike, and Humboldt's treatment of the Rocky Mountain regions and the Gulf Coast. Arrowsmith also shows Father Escalante's route in detail and is the first to confirm that the "Nepestle River" first reached by the Juan de Archuleta Expedition between 1664 and 1680 was in fact the Arkansas River. The map also provides an interesting snapshot of the Lower Missouri River, Kansas River, and Arkansas River valleys, prior to the reports of Stephen Long and other American explorer's in the region. There are a number of annotations throughout the map providing further information on the exploration and mapping of the region. In describing the map, Martin & Marin note: Relying on information provided to him by the Hudson's Bay Company, [Arrowsmith] added significant details in the Northwest, and his depiction of the California coast was probably taken from the British explorer Vancouver's own charts. In the Texas area [Arrowsmith] undoubtedly used Pike's rendition of the rivers . . . while he followed Humboldt in tracing the coast from the Spanish Hydrographic Office chart . . . . By combining the best parts of Humboldt's and Pike's maps and avoiding their errors, and by adding his own new information, Arrowsmith contributed a significantly improved depiction of the region" The present example is the first state of the map, showing the boundary of Mexico and the United States at the Mermento River in Louisiana, following the River. While Streeter referred to this edition as the second edition of the map, Rumsey identifies this edition as the first edition, with the Streeter's first state actually being the last edition, published circa 1820. The confusion lies in the fact that Streeter's first edition is also dated 1810 and shows Arrowsmith as "Hydrographer to his Majesty." 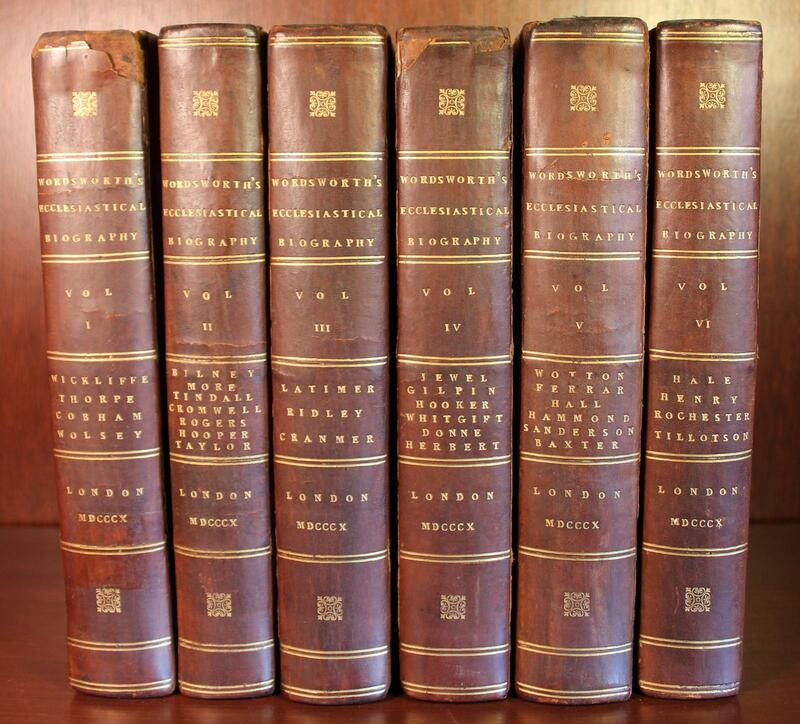 All other editions reference Arrowsmith as Hydrographer to the Prince of Wales, with the second, third and fourth editions including a change in the title noting that each is corrected to 1815, 1816 and 1817 respectively. Streeter apparently assumed that this meant the "Hydrographer to the King State" was the first edition, but Rumsey correctly notes that Streeter's first edition is the only one to show the Adams Onis Treaty Boundary of 1819 and that it appears in the Atlas to Thompson's Alcedo, first published in 1825. 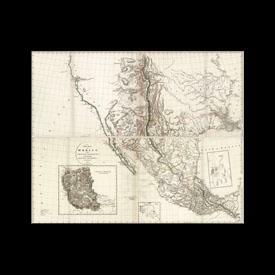 Arrowsmith's map of Mexico is regarded as perhaps the single most influential of all regional maps from this time period, a landmark in the Cartographic History of Texas and the Southwest, and a cornerstone map in American Cartographic History. Truly exceptional copy of the map, with fine fresh color and was likely unopened and virtually untouched for nearly 200 years. Martin & Martin 25, Streeter 1046, Wheat 295. Vue de l'Hospice du Mt. St. Bernard. 1810 circa. Incisione all'acquatinta, cm 41,3 x 52,8 circa (il foglio). Firmata in lastra sulla destra, fuori dalla parte figurata (Dessiné et Gravé par Ch. Muller). Il Muller, nelle sue vedute, utilizza sempre un espediente pittorico per contestualizzare la scena in uno scorcio, in un momento di vita quotidiana, o in un contesto storico. In questo modo, le sue stampe assumono importanti valori paesaggistici e storico culturali. Veduta con truppe e cavalli nel contesto alpino, col rifugio e i monti ricoperti di ghiaccio tutt'intorno. Il Colle del Gran Bernardo (2472 metri) unisce Svizzera e Italia. La strada del colle, impraticabile per molti mesi l'anno per via delle imponenti nevicate, è ancora oggi preferita da molti come tramite tra i due versanti delle Alpi. I Romani, che gli diedero il nome di Mons Jovis, ne fecero il principale punto di attraversamento delle Alpi lungo l'asse Nord - Sud, e vi costruirono un tempio dove viaggiatori e soldati offrivano sacrifici per attirarsi il favore degli Dei. Con la decadenza dell'Impero Romano erano venute meno le condizioni per un uso sicuro del colle del Mons Jovis. Fu allora che Bernardo di Mentone, arcidiacono di Aosta, vi costruì verso il 1050 l'Ospizio e assegnò a dei monaci dell'ordine di Sant'Agostino i compito di dedicarsi all'assistenza dei viandanti. Per nove secoli rimasero fedeli alla loro missione, offrendo salmi ed inni a Dio, andando in soccorso dei viaggiatori e ospitandoli nell'Ospizio. Il modesto riparo fu poi ingrandito nel corso dei secoli per poter assicurare ospitalità gratuita a tutti i viandanti e altre costruzioni furono via via aggiunte: l'obitorio nel 1476, l'ostello San Luigi nel 1786, e finalmente la Casa Nuova nel 1899, che divenne, dal 1925 l' "Hôtel de l'Hospice". Dopo l'apertura del traforo del Gran San Bernardo nel 1964, in pochi affrontano il colle d'inverno per recarsi in Italia, o viceversa. Tuttavia l'Ospizio ha saputo mantenersi come luogo di incontro e riflessione dove il visitatore desideroso di silenzio e raccoglimento si reca per il proprio benessere. Disegnata ed incisa da Christian Friedrich Muller (Stuttgart, 1782 - 1816) agli inizi dell'Ottocento. Una piega della carta al margine inferiore e alcune usuali imperfezioni marginali, buono stato di conservazione. .
A remarkable scene after a painting of Louis-Philippe Crepin, representing the shipwreck of Edouard and Ange de Laborde on 13 July 1786, off the coast of Alaska, during the expedition of La Perouse, one of the most significant journeys of exploration conducted by the French in the 18th century. The expedition took place onboard the Boussole and the Astrolabe, it´s goal was to explore the Pacific and assess the Spanish settlement in California; whilst en route to Kamchatka, La Perouse was the first to safely navigate the Japan Sea. After passing through Cape Horn, the expedition sailed towards the Northwest of America, arriving to the coast of Alaska in July 1786, discovering a magnificent bay dominated by mountains and surrounded by glaciars, which he goes on to name Port-des-Français, today Lituya Bay, staying there for almost a month. The bay was rich in natural resources, and was frequented by the Amerindian population of the area, with whom the French conducted trade on several occasions; La Perouse soon envisioned the potential for the fur trade. The subject of this scene is a dramatic episode occurred on 13 July 1786, when La Perouse sent a detachment of officers to sound the bay in three small vessels (two biscayennes and a small canoe); despite his recommendations for caution, Lieutenant Descure ventured too close to the pass, his biscayenne was engulfed by the tide, the second biscayenne -which had the Laborde brothers on board- suffered the same fate when attempting to rescue the first one, only the small canoe escaped, due probably to it´s stability. In all, 21 sailors perished in the shipwreck. Dedicated to the brother of the Laborde brothers, who died in the shipwreck, Alexandre de Laborde, author of several works on France, Spain, and Austria. At the bottom of the engraving, there is a narrative of what occurred in the shipwreck. The author, Louis-Philippe Crepin, was a pupil of Joseph Vernet and Hubert Robert, he also authored the painting portraying Dumont D´Urville and the sailors of the corvette Astrolabe paying homage at the La Perouse memorial on the island of Vanikoro. Extremely rare, both in the market and institutionally; we locate copies at Yale and the California State Library in the United States, and one in France. Leibzig: Chez Gerard Fleischer. Good+. 1810. Hardcover. Nouvelle Edition. 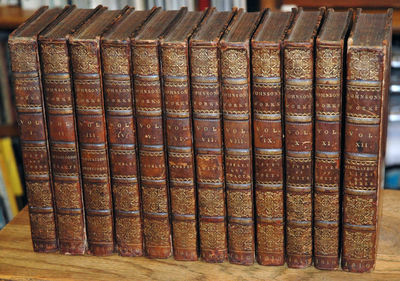 Thirteen volumes bound in half leather over clean marbled boards. 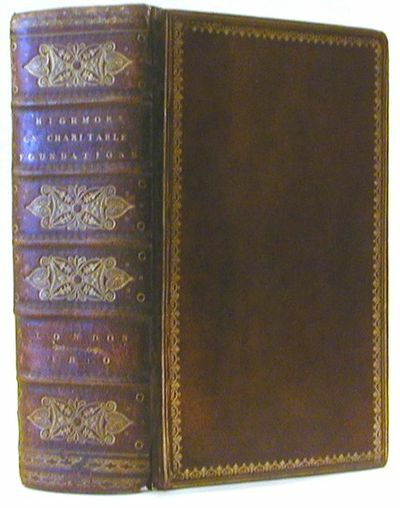 Special binding with royal insignia: Gilt embellished spine including a "Royal Crown" over the letter "A" at the top. Text blocks tight, clean and intact. Marbled endpapers and frontispieces. #1, Nouvelles, 326pp; #2, Numa Pompilius, 299pp ; #3, Theatre, 294pp; #4, Myrtil et Chloe Pastorale, 203pp; #5, Estelle, Roman Pastoral, 265pp; #6, Precis Historique Surles Maures D'Espagne, 288pp; #7, Gonzalve De Cordoue, 221pp; #8, Fables, 269pp; #9, Don Quichotte de la Manche, 287pp; #10, Don Quichotte de la Manche, 329pp; #11, Don Quichotte de la Manche, 312pp; #12, Imitations et Traductions, 416pp; #13, L'enfant D'Darlequin Perdu et Retrouve Comedie. Jean Pierre Claris de Florian was most noted for his fables and also his abridgement of Don Quixote. Some spine lables are fully or partly missing. Vols. 4 #5 have a scuff mark on the cover. Vol. 7 has a small hole in leather near spine heel. Lierature, Poetry; 16mo 6" - 7" tall; 3821 pages .
. The only date for Müller provided by Davies & Stanbury (Mechanical Eye) is 1868, when he had a studio in Ruthven Street, Toowoomba. The pair of studio portraits we offer here undoubtedly date to the late 1860s, and so were almost certainly taken in Müller's Ruthven Street studio. 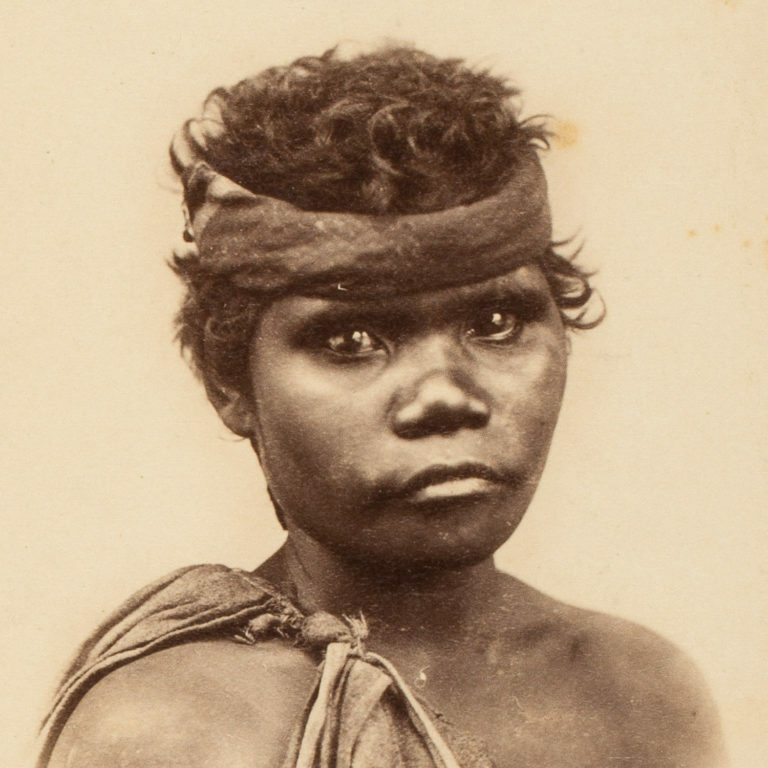 One of them possibly matches a copy print of a Müller photograph held in the John Oxley Library (Portrait of a young woman, Toowoomba, 1869), one of a small number of Aboriginal portraits by Müller in the collection, all dated to 1869 (not viewable online). Charlestown: J. White, 1810. Broadside. Very Good Condition. Single sheet, mild soiling, verso discolored and with old pen title, one edge trimmed unevenly in the margin. Two woodcuts, one of a reaper, one of a dinner scene at top. "Here's Statesmen, lawyers, & doctors gay, Time with its scythe sweeps them all away." Just one copy in Worldcat, at Harvard. Not at the AAS. ca. 11 1/2" x 9". Undated ca. 1810 - the Harvard copy suggests 1810-1830, the years White was most active. Size: Folio. Quantity Available: 1. Shipped Weight: Under 1 kilo. Category: Poetry; Americana. Inventory No: 045665. [RITSON, JOSEPH AND FRANCIS DOUCE, COMPILERS]. Gammer Gurton's Garland: or, The Nursery Parnassus. A Choice Collection of Pretty Songs and Verses, for the Amusement of All Little good Children Who can Neither Read nor Run. 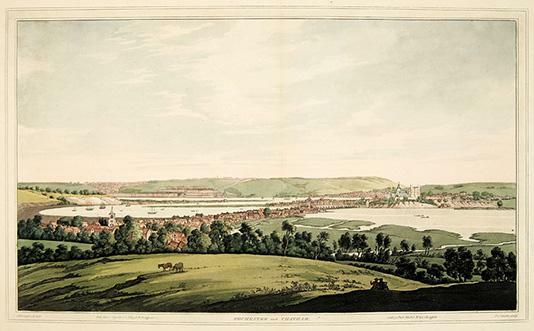 London: Printed for R. Triphood, 1810. 8vo, modern dark purple morocco by Philip Dusel, gilt decorations and lettering. A collection of famous children's rhymes, first compiled by Joseph Ritson in 1784. Ritson (1752-1803) the antiquary was interested in the "folklore of the nursery" (Bronson) and brought together 75 rhymes in Gammer Gurton, based in part on the famous Mother Goose's Melody, also published in 1784, but there are several well known rhymes in Gammer Gurton not in Mother Goose, including "London Bridge is Broken Down," "There was an old woman, she liv'd in a shoe," "The Man in the Moon came tumbling down," and "Hark, hark, the dogs do bark." Antiquary Francis Douce (1757-1834), a friend of Ritson with similar interests, later annotated a copy of the 1795 edition of Gammer Gurton with additional rhymes, and the material from that annotated copy was used to produce this expanded edition in 1810. Another antiquary, Joseph Haslewood, has been given credit for editing this edition. 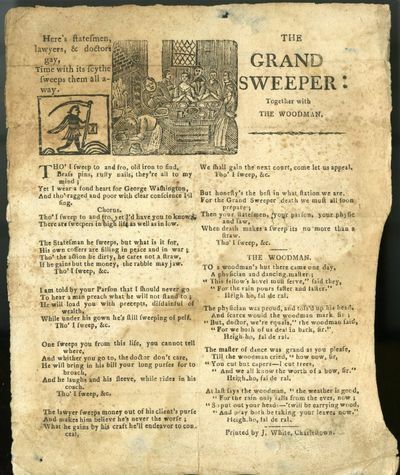 The number of famous rhymes in Gammer Gurton includes "The Cat and the Fiddle," "Bah, Bah, Black Sheep," "Patty Cake" "Jack and Gill," "Dickery, dickery, dock," "Yankey Doodle came to town," and "Tom Thumb the piper's son." In part IV of this edition are the first appearances in print of form of "Humpty Dumpty" and "Little Bo-Peep." "Gammer" is an old English word for countrywoman, and the name "Gammer Gurton" was used in a few early English children's rhymes. ESTC records no copies of the 1784 edition of Gammer Gurton and only five copies of the 1795 edition. Paper with scattered light browning; a fine copy with wide margins. Sachsenburg. - Ansicht. - Schloss. Bath: Printed by Richard Cruttwell, St. James's-Street, Bath; and Sold by Cadell and Davies, Strand, Hatchard, Piccadilly, London; and S. Cheyne, Edinburgh, 1810. Second edition of this notable English translation of the Book of Job, first published earlier that year, by the self-taught linguist Elizabeth Smith (1776-1806). As a young child, Smith's prodigious reading raised fears that "such close application might injure her health." By her early teens, she was conversant in French, Italian, German and Spanish, and soon turned her attention to the comparative study of ancient languages, including Greek, Latin, Arabic, and Hebrew. Smith's gift for languages is reflected in her pioneering treatment of Job, the first complete English translation of that text produced by a woman. Relying on the popular Hebrew grammar of John Parkhurst, Smith reimagines the Old Testament tale of loss and endurance in a direct lyrical mode: "My days are swifter than a shuttle, / They are finished for want of thread." The Book of Job is accompanied by an early edition of Smith's miscellaneous writings, Fragments, first published in 1808, in which she recommends the work of translation to all her readers: "The study of languages . . . gives a much higher relish for the beauties of our own language, by enabling us to feel the force of every expression, which a common reader passes over without observation." Although offered for sale separately by the publisher, this first volume of Fragments was part of a two-volume set; the second volume, Smith's translation of the memoirs of Frederick and Margaret Klopstock from the German, is not present. Handsomely bound early editions, in near-fine condition. 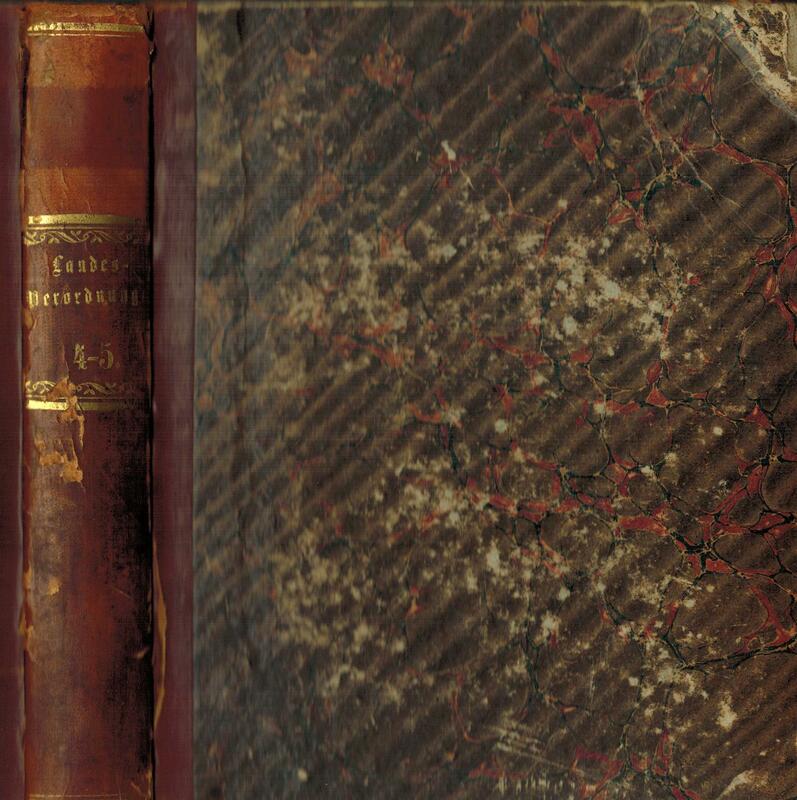 Two octavo volumes, uniformly bound in full contemporary tree calf, spines decorated and lettered in gilt. Engraved frontispiece portrait of Smith in Fragments; single page of publisher's advertisements at rear of each volume. Contemporary female ownership signature in Book of Job; presentation inscription in the same hand in Fragments. Frontispiece lightly foxed, lightest shelfwear to bindings.